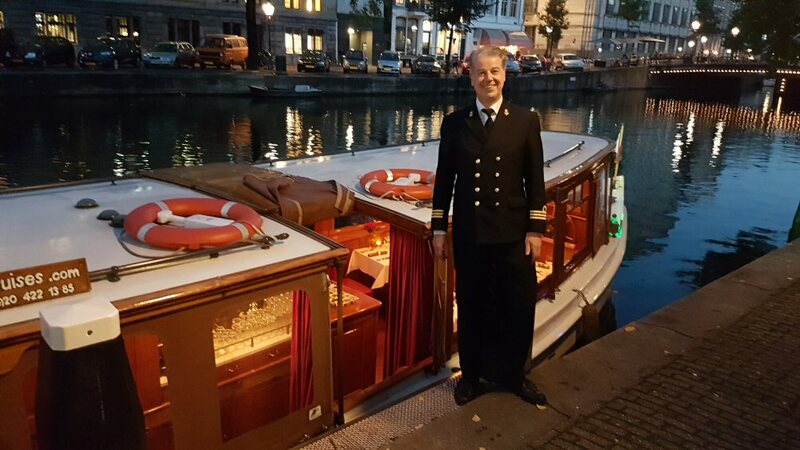 Amsterdam Jewel Cruises | Exclusive private & business canal cruises. 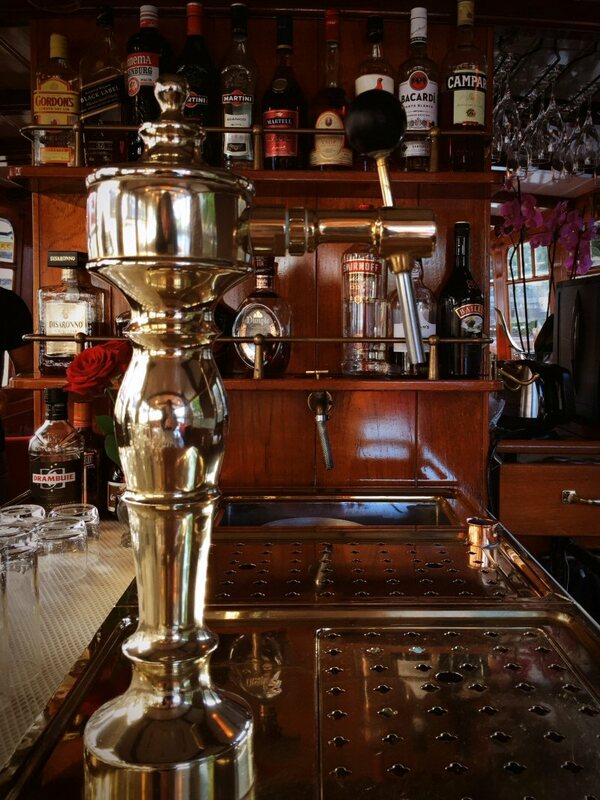 A la carte lunch and dinner cruises in Amsterdam. 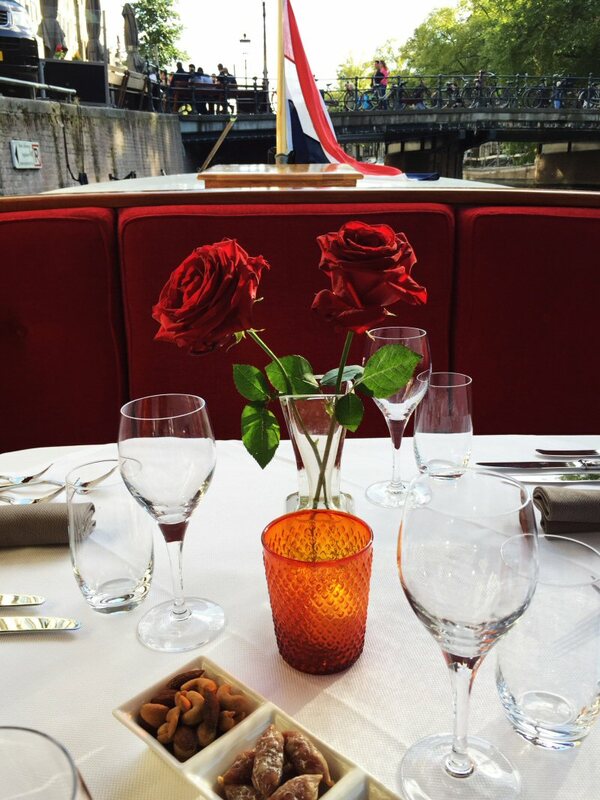 "Private & corporate cruises on a charming antique riverboat"
Charter the boat for your corporate or private event. Choose for a private dining experience or one of the other private cruise options and impress your clients or create great memories with your friends and family. Being a sailing restaurant, this is our specialty! Prepare for a great daytime or evening dinner cruise with a delicious 3 courses a la carte lunch or dinner in a beautiful and stylish ambience. 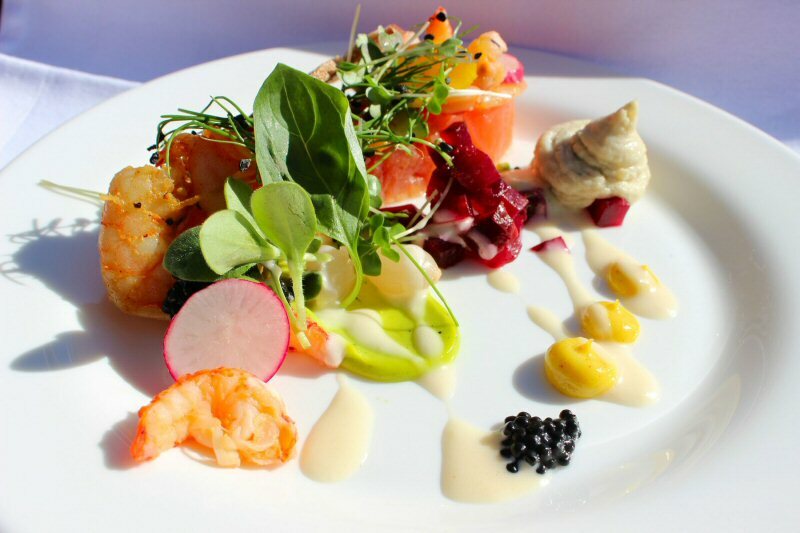 If you prefer a more informal lunch or dinner, we also offer delicious buffet style lunches and dinners. You can then choose for a French, Italian or a traditional Indonesian buffet (recommended!). 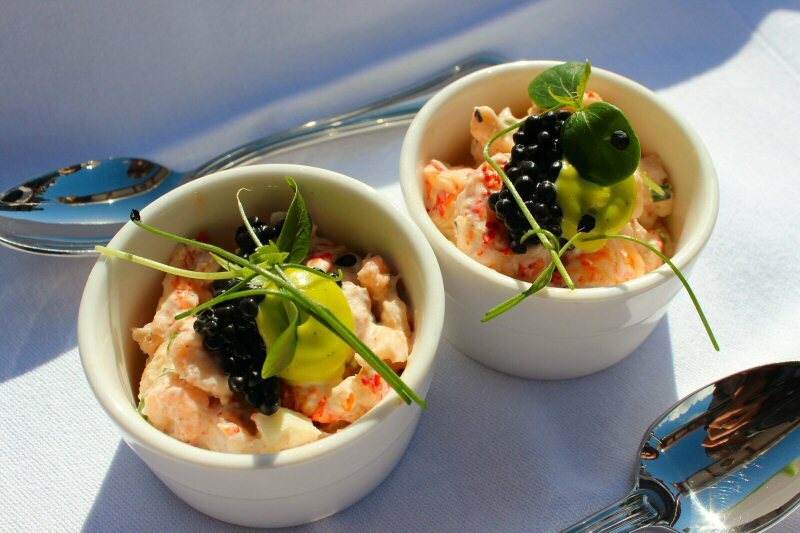 All buffets will be prepared freshly by our chef and then served on the boat during the cruise. For more information about the menus, prices and options please contact us. Besides our lunch or dinner cruises we can of course also offer you alternative private cruises. We are always available for your ideas and suggestions for a custom made private cruise according to your wishes. As it is a private cruise we can pick you up and drop you off at convenient location in the center of Amsterdam if you wish. You can also choose the start time for the cruise. The cruises usually take place in the canals of Amsterdam, and we will of course pass all the highlights as the 7 bridges, the Anne Frank House, the Skinny Bridge on the Amstel river and many more. If you like we can also go through one of the canals in the red light district. The cruise is pretty flexible and the captain can adjust the route according to any wishes you might have. If you are interested in a private cruise please feel free to contact us!